Make your own fresh greenery wreath! 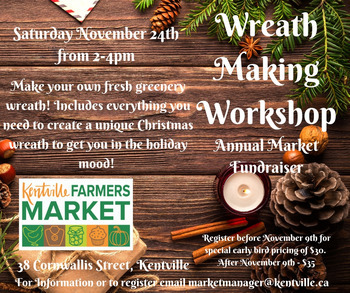 This workshop includes everything you need to create a unique Christmas wreath to get you in the holiday mood! 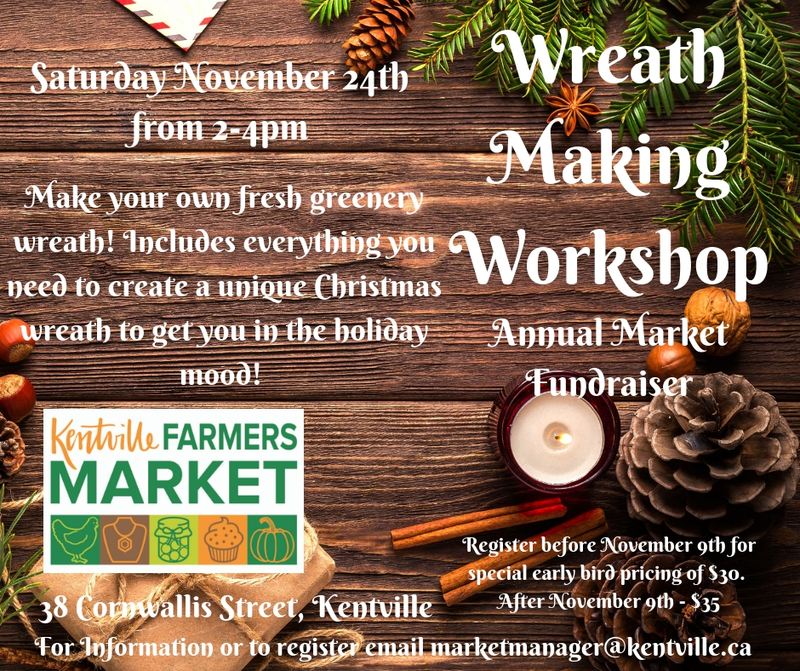 Help support the Kentville Farmers Market with our annual market fundraiser.